Okay, I'll admit... this is not the prettiest post. But, I'm excited to share this secret with you! It's a quick and easy way to remove wood veneer from your furniture. 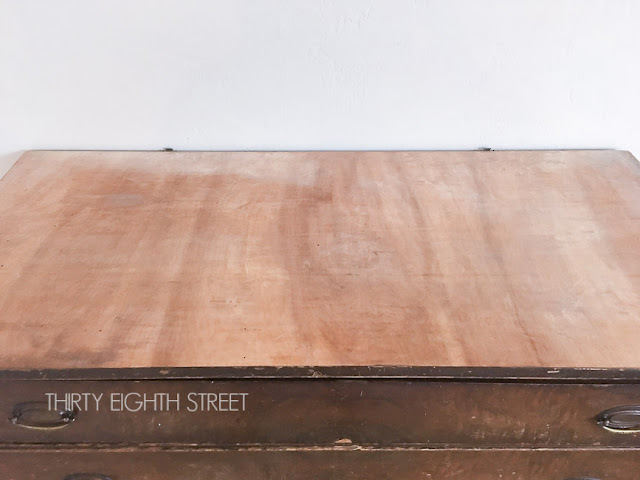 In this post, you'll receive step-by-step instructions AND a video demonstration on How to Quickly Remove Wood Veneer with a Heat Gun. Fixing chipped veneer with a heat gun is a knock out game changer! There aren't any harmful chemicals involved in this process and you won't break a sweat trying to restore your furniture! Not to mention this method of removing veneer from wood furniture is going to save you so much time! 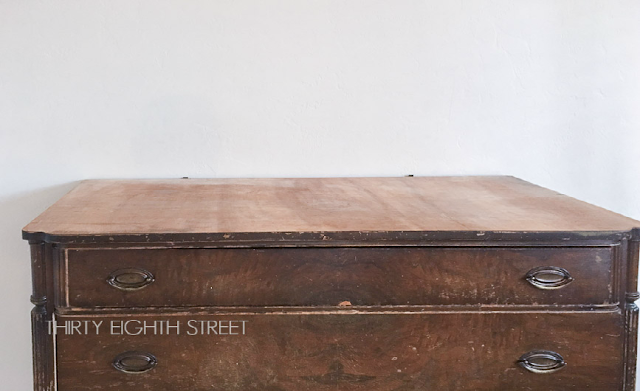 Disclaimer: HomeRight provided us with a heat gun to help us restore this dresser. 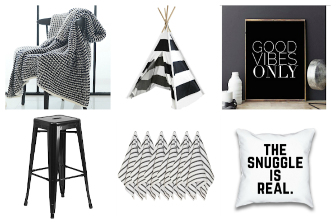 This post contains a few affiliate links to help you find the products I use. You are NOT charged extra to use any of the links. However, I will receive a small commission for purchases that are made through these links which help support my Dr. Pepper addiction. ;) You can view our full disclosure here. 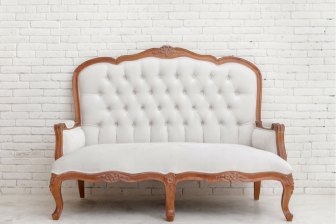 If you're out shopping at a thrift store, on an online site or at an estate sale and you see second-hand furniture with peeling veneer don't let that stop you from purchasing that piece of furniture. Repairing wood veneer is easier than you think! Most minor veneer peeling can easily be repaired by re-gluing and clamping the veneer back down into place. If there are gouges, they can be filled with Bondo or wood filler. 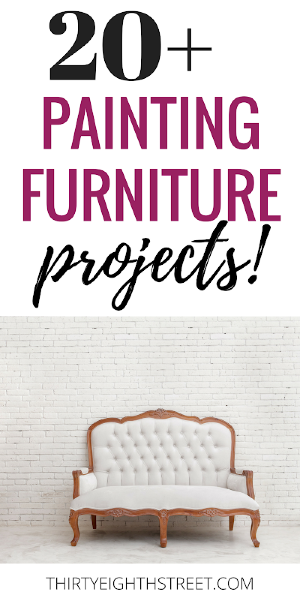 You can read more about my favorite furniture refinishing supplies here! This might look like a big job, but believe it or not... This can easily be fixed! 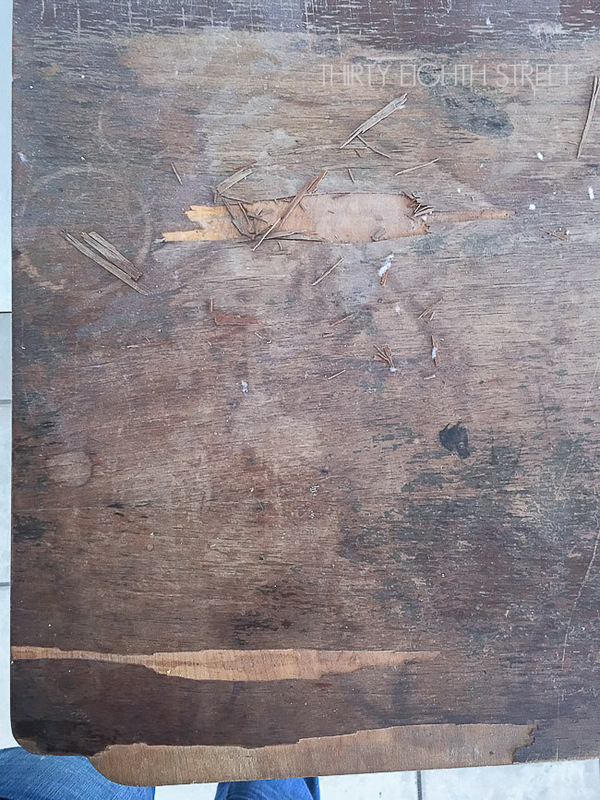 In fact, contrary to what you might think, not only is a furniture piece like this salvageable but those peeling veneer areas could get YOU a serious price reduction if you're purchasing a furniture piece from a seller! We want to take the scary out of refurbishing used furniture! Remember, if YOU'RE doubting your ability to fix chipping veneer yourself, there is a good chance that others buyers are thinking the same exact thing! Only now, you are about to be armed with the easiest way to remove veneer from wood furniture and know how to fix your peeling wood veneer problems! 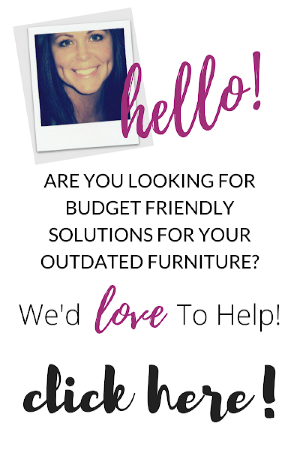 Which could mean a seriously great furniture deal for you! Are you ready to feel empowered to take on peeling veneer? QUESTION: How Do I Remove Wood Veneer Glue? ANSWER: If it's a resin glue like a white glue or yellow glue you can use a sanding block and carefully sand the glue with 80 grit sandpaper. Disolving veneer glue with a heat gun is also a great way to get rid of it! Solvents like VM&P Naptha can also be effective in removing wood veneer glue depending on the kind of glue adhesive that was used. QUESTION: How Do I Refinish My Furniture Piece Once The Veneer Has Been Removed? ANSWER: You have a few options! 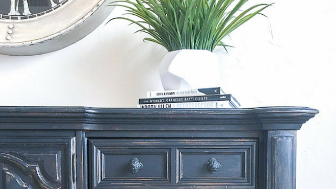 Once the veneer has been removed, you can refinish your furniture and paint it (see our favorite furniture paint here!) or use a stain like GF Gel Stain to stain the wood that's underneath it. Depending on your project you could also glue a new wood veneer strip to an edge, or purchase a wood veneer sheet and adhere it to your furniture piece. You'll find that veneer comes in a variety of woods and colors so you can match it to your existing finish. Here's my best advice for removing veneer easily from wood furniture! You can remove paint, urethane, varnish, vinyl tile, laminates and stickers. Have you ever found a dresser with stickers plastered all over it? Those can take FOREVER to get off! This digital heat gun can help you remove the stickers quickly! It can be used for craft applications, distressing, embossing, forming hockey stick blades, loosening bolts, soldering, thawing frozen items and weather-proofing. 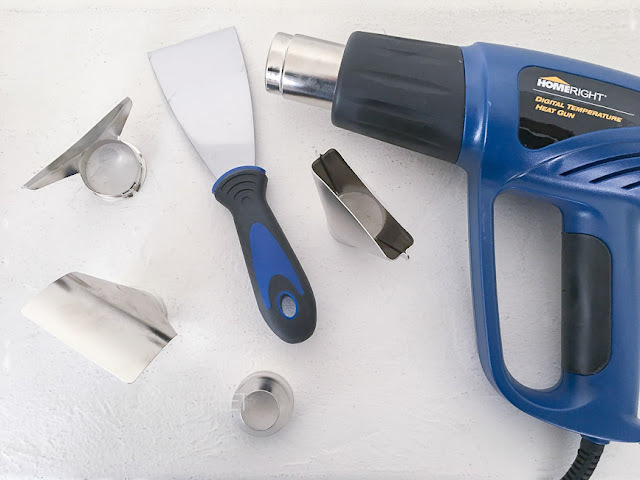 ***** With almost a 5 star rating, you can read more about the heat gun we used here! - All-purpose scraper like this one! 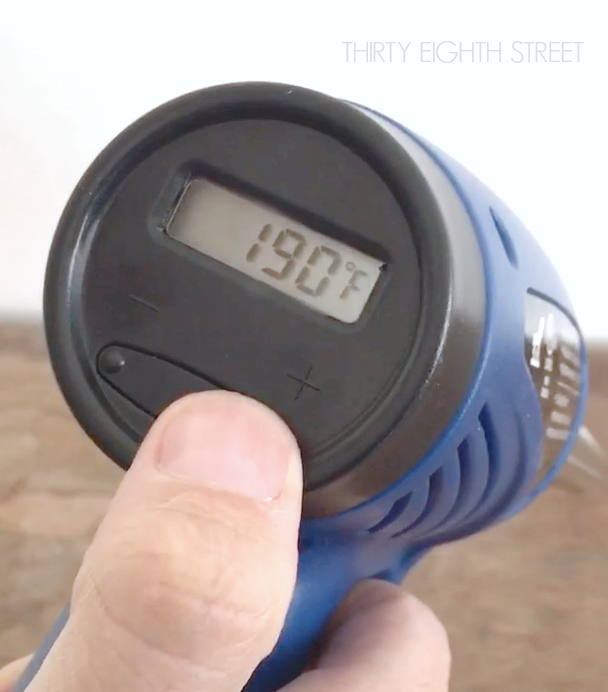 This digital temperature heat gun is simple to operate, but there are some important safety instructions that you must read! Click here to view a chart with the recommended heat settings. We opted to use the Deflector Nozzle for our furniture project, but the Concentrator Nozzle works great for peeling veneer too! Use the arrow keys to select your heat setting. The digital reader will show you both the heat setting that you've set it too and the temperature that its currently at. Once the heat gun has reached the desired temperature, hold the heat gun about a 1.5"- 2" away from the veneer. Hold the heat to the desired area for a few seconds, then move it back and forth for a few more seconds. Push the scraper with your other hand against the edge of the veneer right below the heat source. Some areas may be more stubborn than others. We found that simply moving the heat gun over the stubborn area for a longer period of time did the trick! Watch us in action to see how easy it is to remove peeling veneer from wood furniture! After reading through this peeling wood veneer tutorial and watching our demo video we hope that you feel more empowered to tackle those peeling wood veneer problems! After doing lots and lots of research, here are some of the top rated heat guns on Amazon! QUESTION: How do I know if wood veneer can be repaired? ANSWER: Veneer with minor flaws are usually very fixable! Minor flaws like small uplifted areas can be glued back down with the help of clamps. Gaps and cracks can be filled in wood filler or Bondo and scratches can be sanded out. A word of caution. If you choose to sand out the scratches, be really careful not to sand though the veneer. My wood veneer tutorial and video above shows you what major wood veneer damage looks like. In instances like these, I would reach for a heat gun to remove the damaged veneer. QUESTION: If I don't want to use a heat gun, how else could I remove veneer from wood furniture? 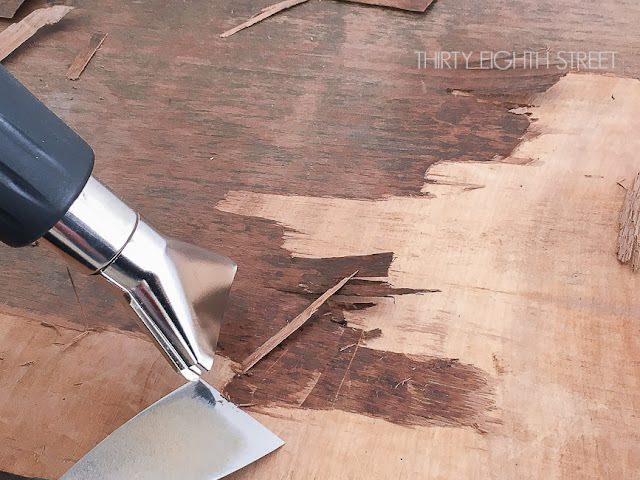 ANSWER: There are a few different techniques you can use to remove chipping wood veneer without a heat gun. A heat gun just saves you time and speeds up the process. One or a combination of all of these techniques may be necessary in order to remove all of the veneer and glue residue from your furniture piece. It just depends on how stubborn your veneer layer is! Start out by removing all of the loosest veneer pieces by hand. Caution: Wear gloves or be prepared for splinters! Anything that is loose enough for you to grab and pull is fair game. Next, grab a wide putty knife/scraper and place it horizontally under a piece of veneer that you just pulled off. Sometimes using a putty knife all by itself is enough to pull up damaged wood veneer. If using the scraper by itself isn't enough you can put the edge of your putty knife horizontally under the tiniest of lift and use a small hammer to tap the end of the putty handle to help it along. If the putty knife and hammer combo isn't making any progress, grab your hair dryer and use the warm air to help loosen the glue as you wiggle the putty knife under the veneer. You can also place a hot damp towel (wet towel fully with hot water then ring out the excess water) over the veneer and leave it on for a few hours. The moisture from the hot towel will help loosen the veneer glue so you can use your putty knife again to try and pry it off. 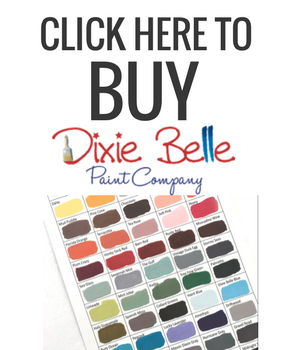 Favorite Furniture Paint and Furniture Refinishing Products! Great post. I am needing to tackle some veneer refurbishing projects. This is great to now. Thanks for sharing your knowledge. Leanna, I'm so glad you learned something! I need this tool in my shop asap!! I used heat for removing paint from a chandelier recently. 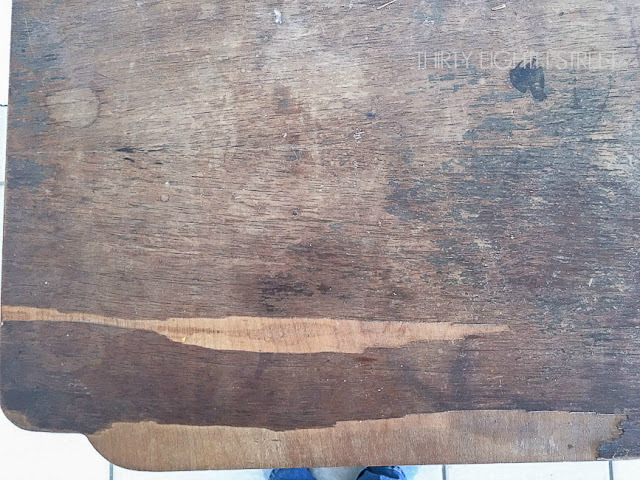 I have an old table and the veneer is cracking. I'll give this a try on that one! Thanks for sharing! 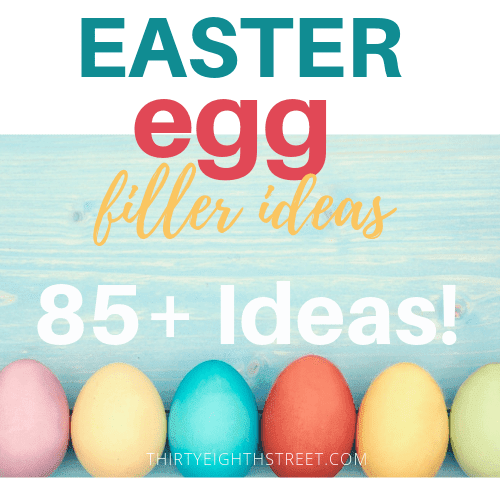 I wish you all the best on your DIY projects! Thanks for stopping by! Yay! I'm glad you learned something from it!